Are you looking for a provider to facilitate your corporate event, team building, or incentive day? Look no further! 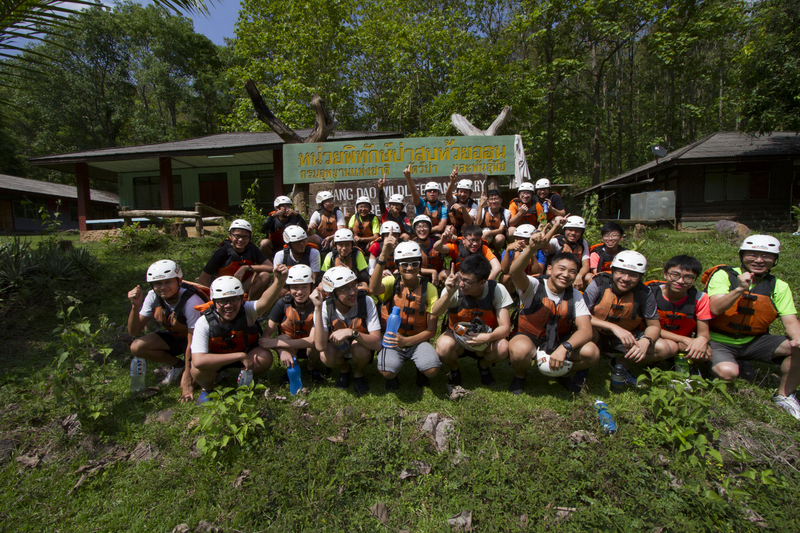 Choose 8Adventures, Chiang Mai for your team building Thailand company retreats and activities. 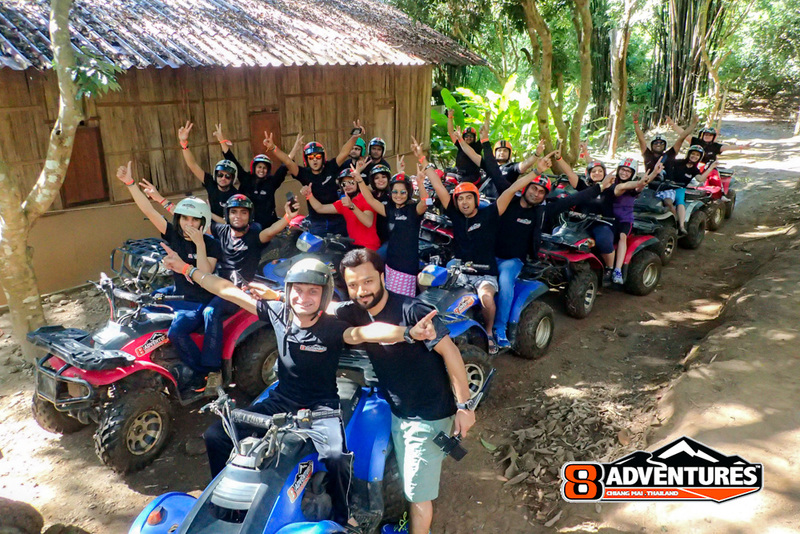 Join 8Adventures, Chiang Mai’s leading outdoor adventure service provider for fun and exciting, action packed days for you and your colleagues. Strengthen teamwork, leadership, trust, confidence, problem solving and co-operation; all within a safe and controlled environment! We can comfortably handle group sizes up to 60 people but upon special request and work with up to 200! 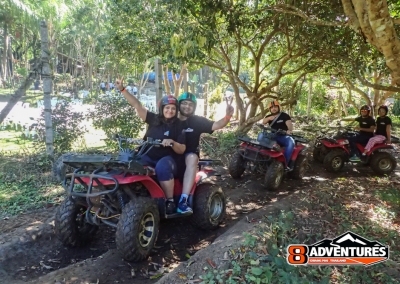 8Adventures’ trips have been designed to meet or exceed international standards for operating in the outdoors. 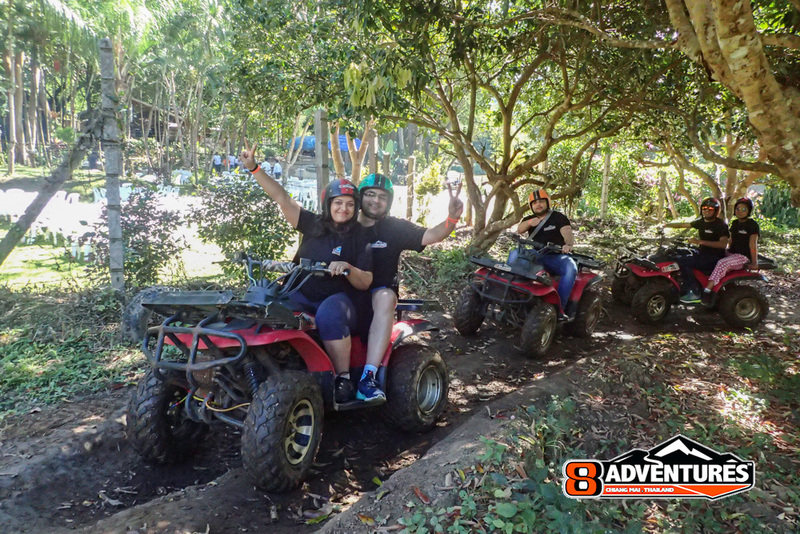 Knowing that there is an inherent increased level of risk with any adventure-based activity, we are successfully able to meet the high demands and needs of any group. This is because the safety of our guests is always of paramount importance. We offer a unique end-to-end service where we tie together unparalleled custom tours with pre and post trip support, highly trained and certified trip leaders, full risk assessments and operating procedures as well as world class fun for you and your group! Our aim here at 8Adventures is to provide inspiring journeys whilst empowering you to excel in your challenges and goals, in ecologically sustainable environments. Enquire with 8Adventures for team building event days, MICE trips, corporate activities and more. Founded by 2-Time World Champion Freestyle Kayaker, Eric Southwick, along with Thai and Asian champion Kayakers Kriangsak ‘Sak’ Boonsom and Ekwit ‘Oat’ Chuapoon – the entire 8Adventures team is led by some of the most experienced outdoor enthusiasts in the industry. 8Adventures prides itself on leading journeys to the remotest parts of South East Asia. Primarily based in Chiang Mai, Thailand, 8Adventures will take you on epic journeys which empower and instill self-esteem in some of the most untouched and remote areas left open for exploration. Safety at 8Adventures is always considered paramount importance. For example, we are the only company is South East Asia to be fully qualified and endorsed by the International Rafting Federation. Furthermore, all 8Adventures staff are First Aid Trained and Qualified. 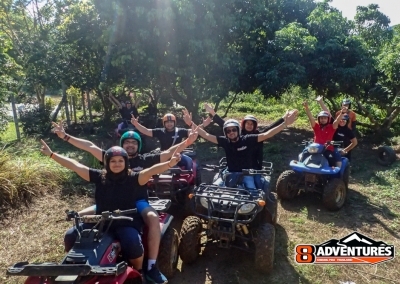 Here at 8Adventures we can customize your corporate team building Thailand or MICE Incentive trip to last a few days! Enquire about our most popular 2-Day option as well as longer options for more information on how to achieve your trip goals most successfully!Just remember we can change these packages to fit your needs! Evening Transfer by 4x4 Vehicle to overnight stay in remote hill tribe village.